10 metre length of translucent polyurethene hose with outstanding abrasion resistance. 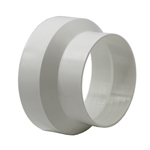 Tecflex PU is a flexible ducting with a smooth internal bore. It offers excellent abrasion resistance with a working life many times longer than traditional types of ducting. Its capacity to resist abrasion makes it ideal for many industries including wood-working, dust extraction and conveyance of plastic granules, abrasive powders, dust particles etc. Tecflex PU ductings are manufactured using medium weight polyester polyurethene which is welded to form a continuous surface. The resulting structure is supported by a PVC coated spring steel wire helix which is embedded into the polyurethene. The encapsulation of the wire helix between the inner and outer hose wall results in an exceptionally smooth inner wall. With the above construction Tecflex PU offers excellent abrasion resistance in a wide variety of applications and very good resistance to fumes of oils and solvents. Tecflex PU may be used in a wide variety of applications and is recommended for use where its enhanced life expectancy will provide the user with significant cost savings. Typical applications include dust extraction, wood chip extraction and conveyance of plastic granules, abrasive powders etc. Its transparency will be of particular benefit in many applications. 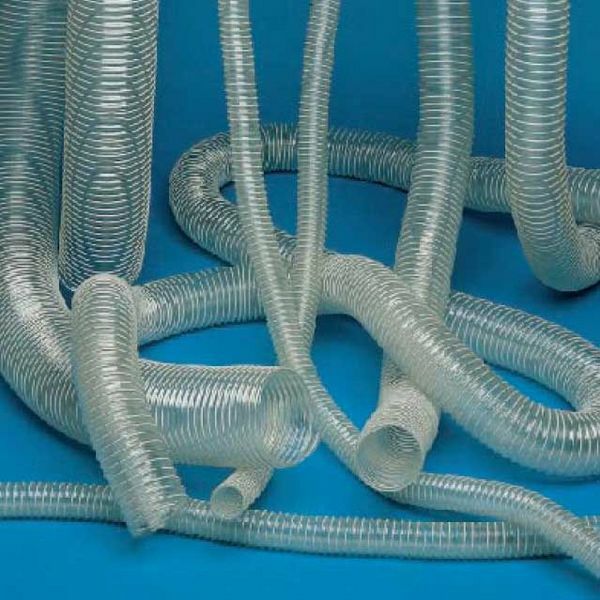 I'm looking for a plastic flexible ventilation hose with an inside diameter of 80 mm. Ca you recommend some please? 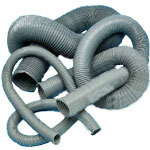 Do you mean flexible upvc hose see product quick search QS4088 or Vinyl flexible ducting QS2452?